Night Dive Studios has announced that it will be restoring and publishing modernized versions of Turok 1 and Turok 2. Both Turok: Dinosaur Hunter and Turok 2: Seeds of Evil will be getting graphical upgrades and other improvements. Unsure yet if this is only PC, or console release. Avalanche Studios has revealed that Mad Max is 1080p which is nice to see, as a lot of the games to date on the Xbox One have not been true 1080p. And the map is also not finite. Square Enix and Eido Montreal have announced the release date for Deus Ex: Mankind Divided. The sequel to Human Revolution will be released on Feb 23rd, 2016 and is set 2 years after the events of HR, in the year 2029 with augmented people separated from normal residents. I’m super excited for this sequel, and should probably replay the first at some point. Hopefully it’s backwards compatible before February. Speaking of backwards compatibility, the original Borderlands is among the games that will be backwards compatible day one in the upcoming update in November. GTA V Online is getting a new feature update that will have structured events pop up in the open world for the players to join and play, with entering a lobby first. Released tomorrow, the goal is to blend the freeform gameplay with structured events that offer rewards. Every 12 minutes in the open world, a new Freemode Event will start, with a countdown alerting players. If you miss the start or opt not to join, you can still spectate. Over 200 variants will be available at launch including cooperative battles, stunt challenges, king of the hill modes, and damage and speed limit tasks. Two new adversarial modes will be made available as well. Nintendo has announced that Tatsumi Kimishima, 65, will assume the role of President and Representative Director for the company. The election will be for a 1 year term. Kimishima’s appointment as the new head of Nintendo comes two months after the sudden death of former president Satoru Iwata from a cancerous bile duct growth. Iwata was 55. S tudio head at 343 Industries has confirmed that Halo 5 will consistently run at 60 frames per second. The goal from the outset was to deliver 60 fps across all game modes. This meant re-engineering the gameplay systems at the core and uses a “progressive resolution system” that scales the games resolution based on what’s on the screen at that time. Ghost Games has announced that the latest PC installment of Need for Speed, titled Need For Speed, has been delayed. Expected to be released alongside its console counterparts in November, the PC version wont be seeing its released until “Spring 2016”. Well, that enough news for today I think. Tomorrow we’ll talk about some more news, and new games and deals, and awesome things. Wednesday will be a Metal Gear Solid V wrap up: part 2. 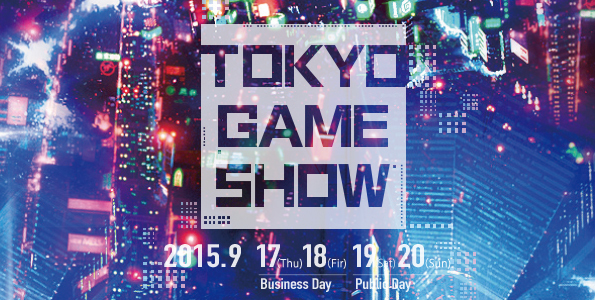 More game previews around the corner and then Tokyo Game Show 2015 stuff around the weekend. Tokyo Game Show takes place from September 17th-20th, and is getting kicked off with Sony’s keynote tonight at midnight, so I should have a wrap-up later in the week. Sony, Square Enix, and Capcom are some of the main companies in attendance, so there should be some exciting news coming soon. This entry was posted in News and tagged Games, Gaming, GTA V Online, Halo 5, Need for Speed, Nintendo, TGS, Tokyo Game Show, Turok, Video Games. Bookmark the permalink.